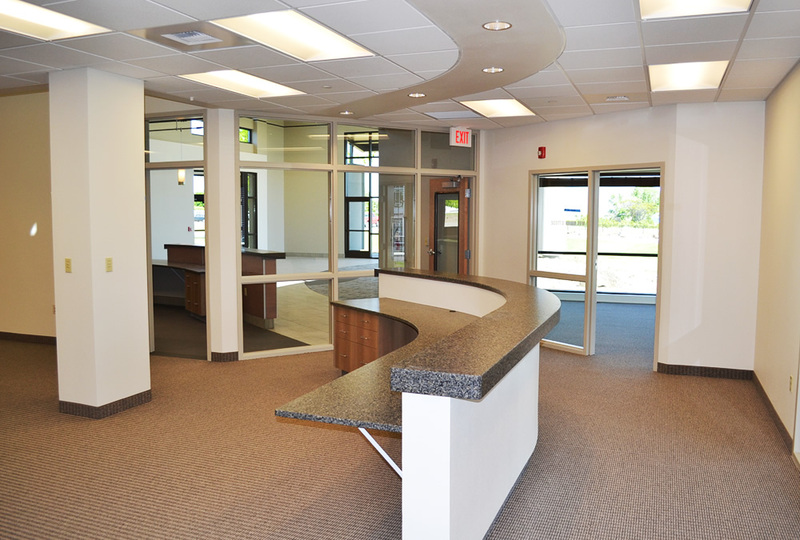 An upgraded facility with a fresh, sophisticated look. 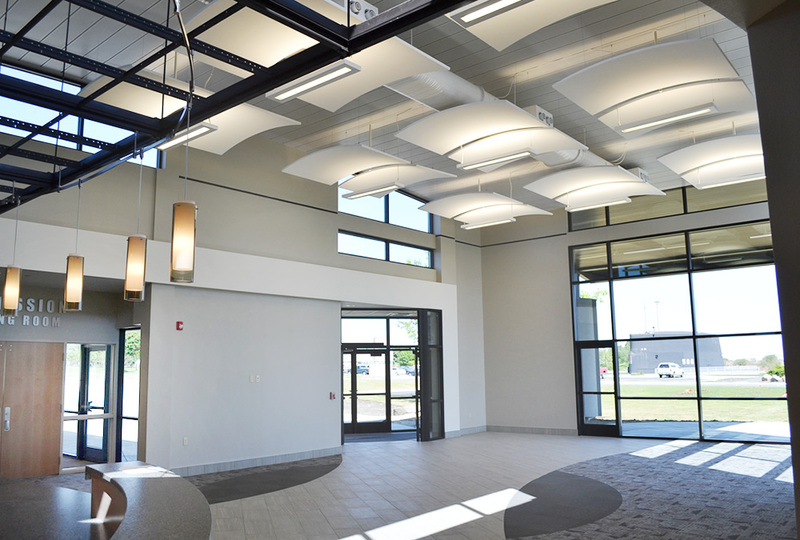 Interior build-out of 10,150 sq/ft with 1,100 sq/ft addition and three new arched steel entry canopies. 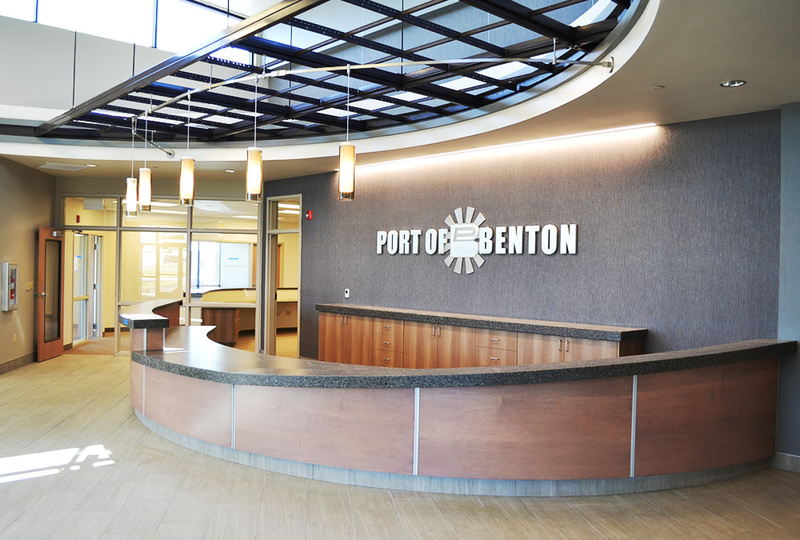 Building improvements for the new Port of Benton administrative offices included 10,000 sq/ft remodel to the existing building and 1,000 sq/ft lobby addition. 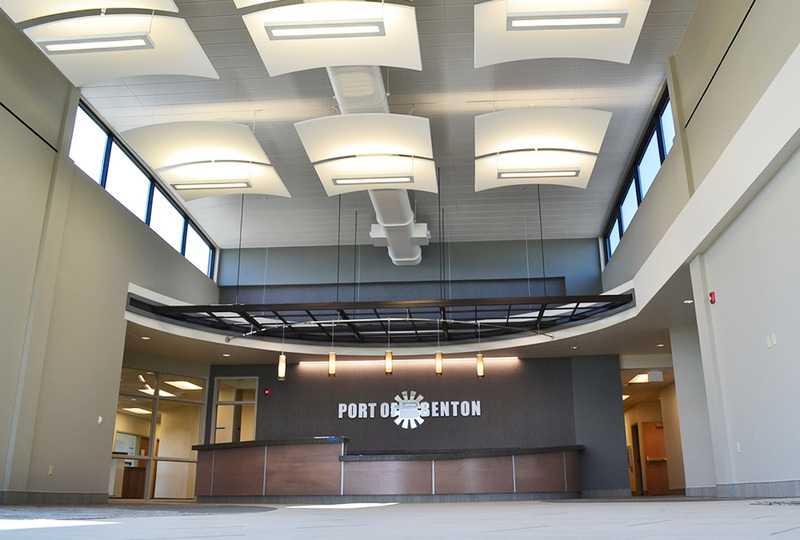 Each of the three main building entrances received a 1,000 – 1,400 sq/ft arched canopy.